as the largest Jovani retailer in the world. 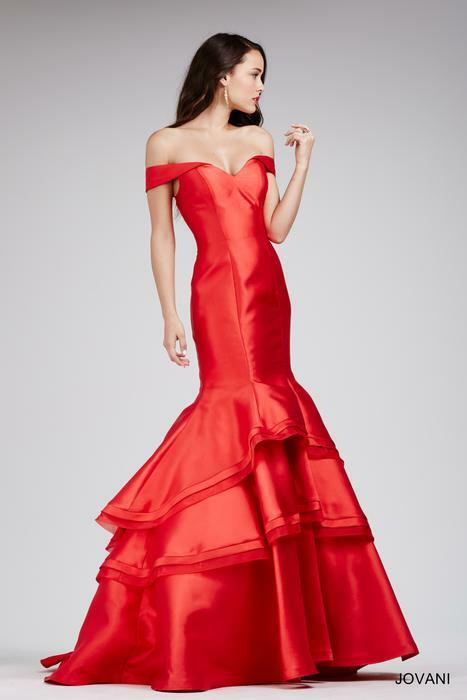 Jovani Prom 2019 Dresses Find your dress here at www.Glitteratistyle.com to make sure you get a quality Jovani dress. Jovani knows how to mix glamour, femininity, originality and hot styles. Jovani dresses are perfect to dress up for Prom or Pageant, and Evening or you can choose Jovani Homecoming! Jovani dresses are a total hit all over and around the world. A lot of celebrities are finding Jovani. Keep in mind "be aware that there are a lot of unauthorized sites selling fakes for unrealistically cheap prices". Jovani dresses are Quality and are not ever sold cheap because they have quality and true craftsmanship which requires the use of expensive materials so that you can wear with pride this high quality dress. Glitterati Prom has the 2019 collection in stock now. Glitterati is proud to be a retailer for JOVANI, the top selling brand for evening wear and special occasion. Receiving the privilege of becoming a JOVANI retailer means that JOVANI recognizes Glitterati as being an elite retailer with top-level customer service, an honest reputation and a longstanding loyalty to the brand. Gitterati's Jovani Profile. Glitterati is one of the few retailers who are allowed to sell JOVANI's designer dresses online, giving Glitterati priority selection on the newest and most popular designs.